With crowds ever increasing at Walt Disney World’s parks, it’s no wonder people are looking for the best way to make the most out of their Disney vacations. Well, Disney Vacation Club is on the move! If you’re like us, curiosity sets in and you just can’t help but want to know more about what all the “DVC” buzz is about. Check out these top 10 questions and answers about Disney Vacation Club. 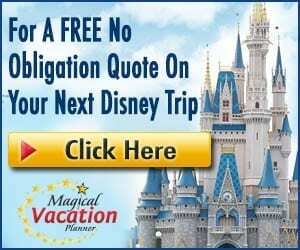 1 – What Is Disney Vacation Club (DVC)? 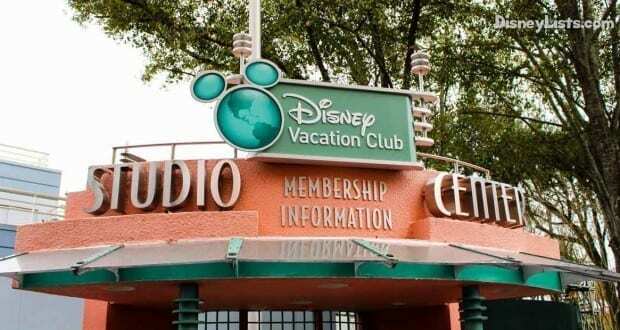 Have you ever been strolling through the Disney parks or resorts and spotted the Disney Vacation Club (DVC) kiosks staffed with a friendly Cast Member? 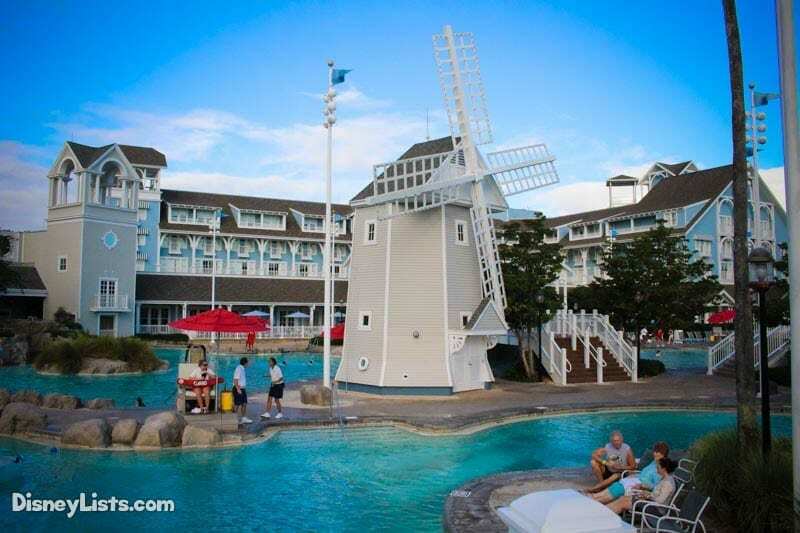 Whether you’ve seen Disney Vacation Club advertised on a sign or you know a DVC member as a friend, the first question is usually… “So, WHAT is DVC?” To put it plainly, DVC is a timeshare with great perks. As with any timeshare, DVC allows guests to purchase a real estate contract to obtain a small portion of Disney Resort property. It’s a vacation ownership program that allows guests to purchase their vacations in advance in one lump sum or on a monthly basis. 2 – What Are “Points”? The first piece to understanding the Disney Vacation Club (DVC) process is having a grasp on “points”. Each stay at a DVC resort location costs a certain amount of points per night. For example, if you select a resort that is 25 points per night and decide to stay for five nights, you will need 125 points to cover your stay. A deluxe resort room will cost more points per night then a moderate resort room. You can also expect to use more points if staying during peak season (such as Christmas week) as points per night increase. You receive your purchased amount of points each “use year”. This just means if you’re contract starts in July, you’ll get your points each year in July. You can even “borrow” your points from the upcoming year or you can “bank” points to store them in holding for a period of time if you aren’t ready to use them yet. 3 – What Is A “Home Resort”? When purchasing a Disney Vacation Club (DVC) contract, the member selects a “home resort”. The home resort will set the tone for how much the points we mentioned above will cost. Disney typically sells new DVC resorts as a “home resort” option, but you can go on waiting lists for contracts of older resorts, such as at Disney’s Old Key West Resort. Keep in mind these older resort contracts typically don’t have as many years left on the contract as new resorts would. The selected “home resort” allows members to book a stay 11-months in advance. If booking at a DVC resort that is not your “home resort”, you will be allowed to do so 7-months in advance… giving home resort guests an advantage. 4 – Why Do The Years Matter? We mentioned above that older resort contracts may not have as many years left on the contract. This is critical to be aware of because you want to be sure your contract is available for as long as possible. If you have 50 years on your contract, you can expect to enjoy vacations for years to come! 5 – How Much Does DVC Cost? So, this one gets a little tricky! There is no one set cost for becoming a Disney Vacation Club (DVC) member. The points and years we talked about above are what will set your final payment. As an example, let’s say you want to purchase Cooper Creek as your home resort and the cost is $176 per point. If you’d like 150 points, you can expect your 45-50 year contract to be right around $26,400. Much like a car payment, this can be paid monthly. Disney offers a financing program or you can obtain financing via a different lender… just always be on the lookout for the best interest rate! Keep in mind that there are monthly dues. On the example above, you can expect to pay somewhere around $1,100 a year in dues. Dues do increase yearly but at a very slight rate. Even after your contract is paid in full, you’ll still need to pay monthly dues for the term of your contract. 6 – What Are the Disney Vacation Resorts? Disney Vacation Resorts located on Walt Disney World property in Florida include: Animal Kingdom Villas (Jambo and Kidani), Bay Lake Tower at Disney’s Contemporary Resort, Beach Club Villas, Boardwalk Villas, Grand Floridian Villas, Old Key West Resort, Polynesian Villas and Bungalows, Saratoga Springs Resort, and Wilderness Lodge Villas (Boulder Ridge and Copper Creek Villas & Cabins). Rivera Resort will be added to this list in 2019 when it is expected to open! Disney Vacation Resorts outside of the Walt Disney World property include: Aulani Club Villas in Hawaii, Grand Californian Villas in California, Hilton Head Island Resort in South Carolina, and Vero Beach Resort in Florida. Keep in mind that anyone can stay at these resorts… DVC member or not! These are however locations that DVC points can be used to stay. 7 – Can I Only Stay At Walt Disney World? No! In fact, this is one of the great perks of becoming at Disney Vacation Club (DVC) member. The lists above are great, but DVC members can also use points at numerous resorts throughout the world! We aren’t saying it’s easy to get tired of Walt Disney World, but we do enjoy the fact that we aren’t limited to a regular stays there. Disney Cruise Lines can also be purchased with DVC points! Branch out and travel the world while staying under the DVC umbrella of paramount service. 8 – What Are DVC Member Perks? As if hearing “Welcome Home!” and staying at a Disney Vacation Club (DVC) Resort isn’t enough… DVC member perks are incredible. We especially love the discounts for park tickets, special ticketed events, shopping, dining, resort rooms (if not using points), tours, and RunDisney events. 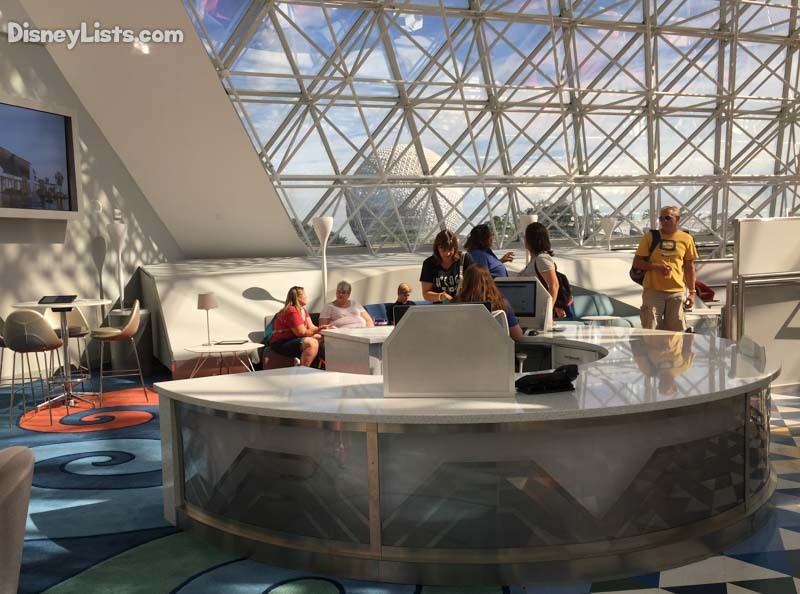 DVC Members also have private lounge perks at Epcot, Top of the World Lounge at Bay Lake Tower, and a new one coming to the Wilderness Lodge. Moonlight Magic is for DVC guests to enjoy the parks after hours. Plus, more perks such as pool hopping, a seasonal magazine, and special DVC member only events are available. 9 – Can I Rent DVC Points If I’m Not A Member? Yes! If you aren’t a Disney Vacation Club (DVC) member, you can actually rent DVC points for a stay. This is sometimes a cheaper route than purchasing a room as a regular cash paying guest. We’d recommend checking out David’s Vacation Club Rentals. Dave’s is not Disney owned but is a much-respected route to purchase points that a DVC member is allotting during specific times. This not only helps the person renting the points, but also the DVC member that is allowing their points to be rented rather then go unused. 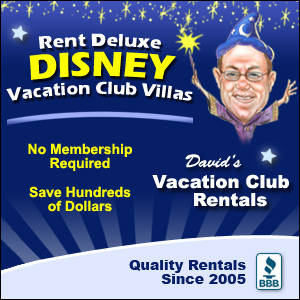 To explore renting DVC points with David’s Vacation Club Rentals click here. 10 – Can I Sell My DVC Contract If Needed? If you decide Disney Vacation Club (DVC) is not right for you, you can sell your contract much like selling real estate. Disney may actually buy your contract back or it can also be snagged up by an interested buyer that is not associate with Disney. We hope we’ve answered some of your top questions and answers about Disney Vacation Club! DVC has personally been a great asset for our family but keep in mind that researching and deciding if this is right for your family are the most important steps before signing the papers.